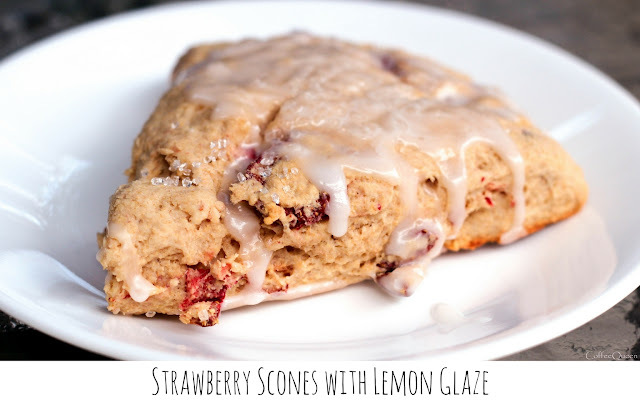 Strawberry Scones with Lemon Glaze for breakfast! that have super-concentrated flavor. So delicious! 10 Weight Watchers Smart Points and worth every point!